The apartment is nice. Internet Connection/WIFI is very slow. Lovely neighbourhood, great cafes and bars, close to the Metro. Nice prepared rooms and furnish, beds comfortable, coffee machine good. Appointment with handing over the key. 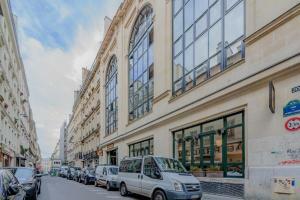 Its centrally located between two metro stations in Paris (Bonne Nouvelle & Chateau d’Eau). Around the area u’ll find nice food store and market for breakfast. The apartment itself is really spacious and staffs are nice. It was a clean warm comfortable nicely decorated apartment in a quite area, with all the essentials required for a relaxing stay and n Paris. Located close to metro, restaurants and shops. 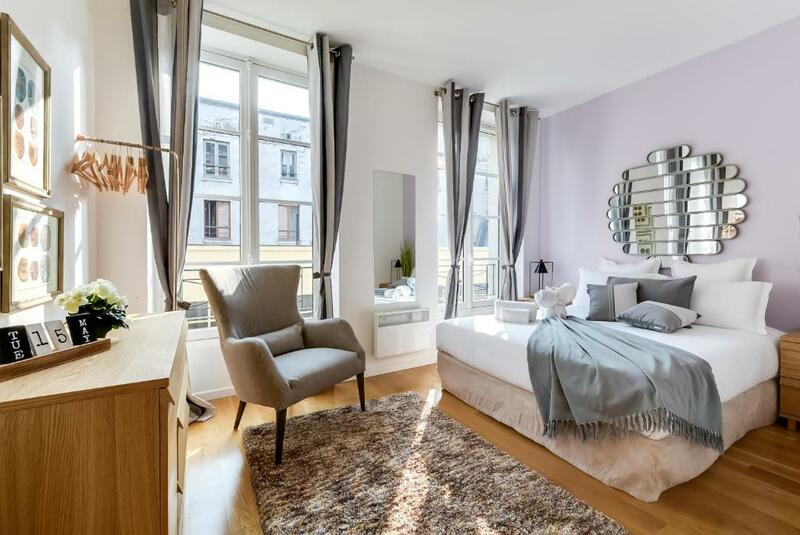 One of our top picks in Paris.Sweet Inn Apartments – Rue D’Enghien offers self-catering apartments set in several locations in the 10th arrondissement of Paris. Gare de l’Est Train Station is just a 10-minute walk from the property. Grocery shops and restaurants can be reached within walking distance of the accommodations and free WiFi access is provided. Bonne Nouvelle Metro Station is a 5-minute walk away and offers direct access to the Eiffel Tower and Bois de Boulogne Park. When would you like to stay at Sweet Inn - Rue D'Enghien? 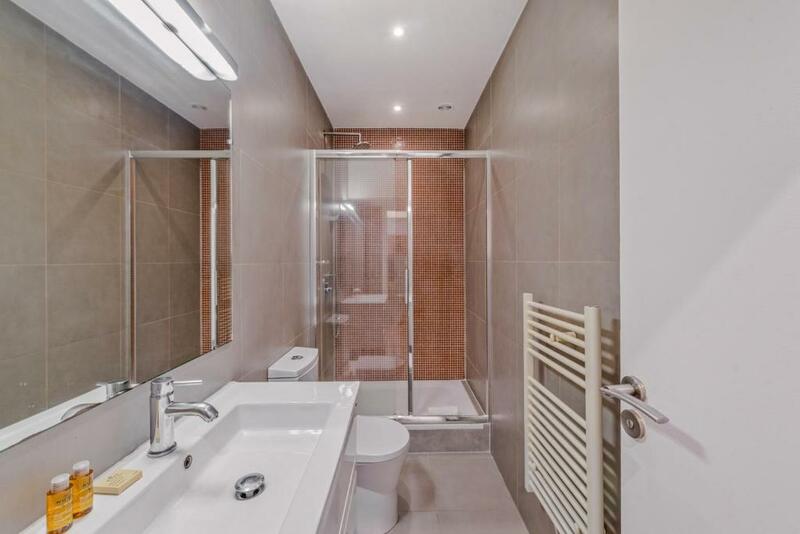 Located on the 3rd floor with no elevator, this apartment features a flat-screen satellite TV, sofa, washing machine and a bathroom with shower, free toiletries and hairdryer. The kitchen is equipped with an oven, microwave and refrigerator. Located on the 2nd floor with no elevator, this apartment features a dining area, flat-screen TV and microwave. Located on the 2nd floor with no elevator, this apartment has a satellite TV, stovetop and kitchen. Located on the 2nd floor with no elevator, it features a washing machine, sofa and cable TV. Located on the 3rd floor with no elevator, this apartment has a kitchen, dining area and sofa. Located on the 2nd floor with no elevator, this apartment features a microwave, seating area and dining area. Located on the 2nd floor with no elevator, this apartment has a oven, electric kettle and dining area. Area Info – This neighborhood is a great choice for travelers interested in sightseeing, monuments and museums – Check location Good location – show map Guests loved walking around the neighborhood! House Rules Sweet Inn - Rue D'Enghien takes special requests – add in the next step! Sweet Inn - Rue D&#39;Enghien accepts these cards and reserves the right to temporarily hold an amount prior to arrival. Sweet Inn - Rue D'Enghien accepts these cards and reserves the right to temporarily hold an amount prior to arrival. Please note this property is located in a street which is quite noisy at the evening. Please inform Sweet Inn - Rue D'Enghien of your expected arrival time in advance. You can use the Special Requests box when booking, or contact the property directly using the contact details in your confirmation. Entrance from the house, tv without function, table was broken in the kitchen/ living room and when we came home at afternoon the door from the apartment was open and somebody from the service repaired without arrangement. There are no elevator to access the upper floor (it will be a little trouble if u travelling with large luggage) and its a bit noisy at the evening since its located just opposite the bar area. There are no cover for the pillows and bedcover in the sofa bed. The view in bedroom wasn’t great, but it didn’t effect our stay and in any way, as the room was decorated very nice. One hicup, the sofa bed sheets had not been changed from previous stay which was a mistake of course. This was sorted out the very next day, so in terms of guest relations, the issue was sorted. There were not enough light in the rooms at night, only lamps. In the kitchen, there were no frying pans so we could not make omelets for breakfast. Otherwise, the kitchen is well furnished. I really enjoyed my stay there and my family too. Good location, very comfortable apartment, very cosy, well decorated. Not clean. Staints on sofa and chair pillows. Impossible to sit down. Location good and bathroom and bedroom ok. The neighborhood is rough. Don't recommended to walk at night. The apartment was dirty, smelled of cigarettes and the wear and tear on items in the apartment was terrible.